The symbol of Aries is the Ram, and that's both good and bad news. Impulsive Aries might be tempted to ram their ideas down everyone's throats without even bothering to ask if they want to know. It's these times when you may wish Aries' symbol were a more subdued creature, more lamb than ram perhaps. You're not likely to convince the Ram to soften up; these folks are blunt and to the point. Along with those qualities comes the sheer force of the Aries nature, a force that can actually accomplish a great deal. 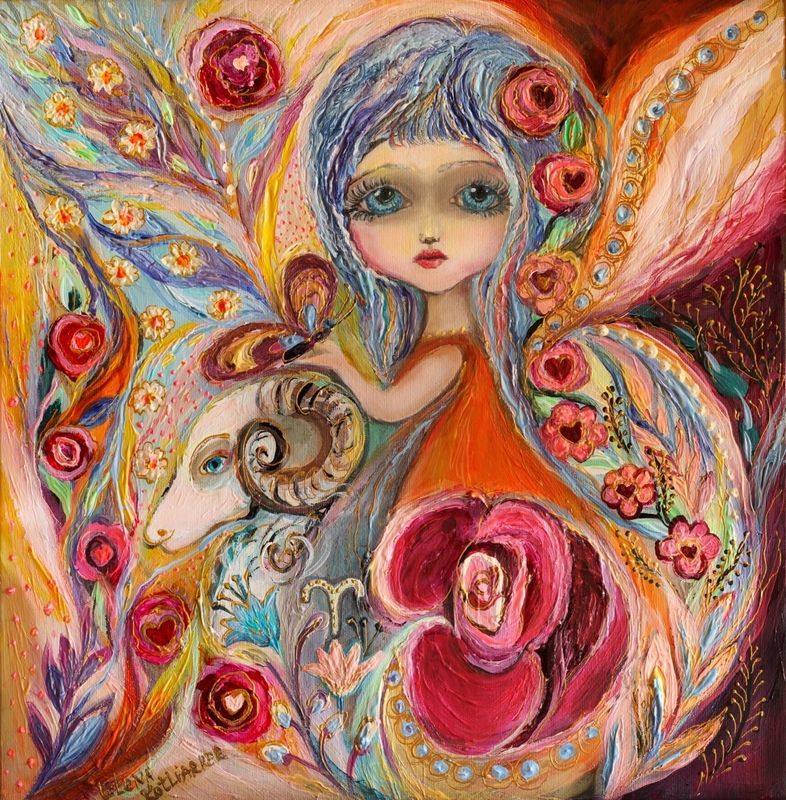 Much of Aries' drive to compete and to win comes from its Cardinal Quality. Cardinal Signs love to get things going, and Aries exemplifies this even better than Cancer, Libra or Capricorn. Pastel chalks,oil and acrylic on the sand texture,varnish.Finished with relief paint. The artwork made in palette knife technique.